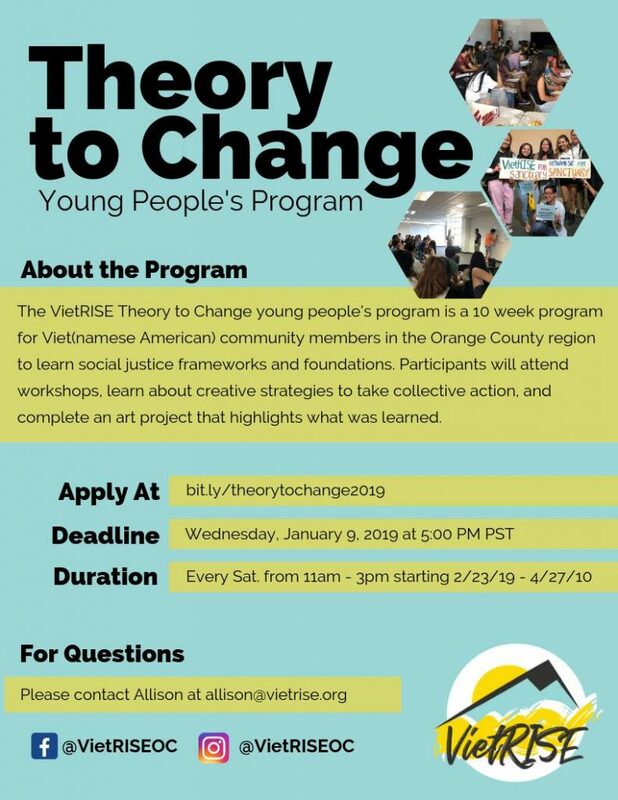 Apply for the VietRISE Theory to Change Program! 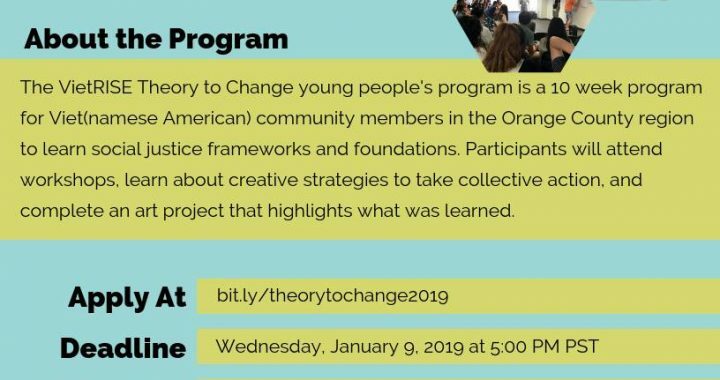 VietRISE’s Theory to Change program is a 10 week program for Viet(namese American) community members in the Orange County region to learn social justice frameworks and foundations. Participants will attend workshops, learn creative strategies to take collective action, and complete an art project that highlights what was learned. This program will be a space geared towards college-aged Viet(namese American) folx (ages 18-24) to learn the language, skills, and capacity to pursue social justice and/or organizing in ways that are accessible and conducive to their self-determination as young leaders in their/our communities. This program works with participants to explore their Viet(namese American) identities, articulate and clearly communicate social justice theories in accessible language, identify structures of power and oppression in their personal lives and community, learn tangible approaches and practices to sustain mental and emotional wellness, and learn action-oriented strategies for community activism and/or organizing. For questions please contact allison@vietrise.org.